And yet, collaboration can be a challenge. It may not be our habit to work things out together, especially when our differences seem great. Ben Ziegler is a mediator and collaboration consultant. He helps people work together to solve problems and succeed. 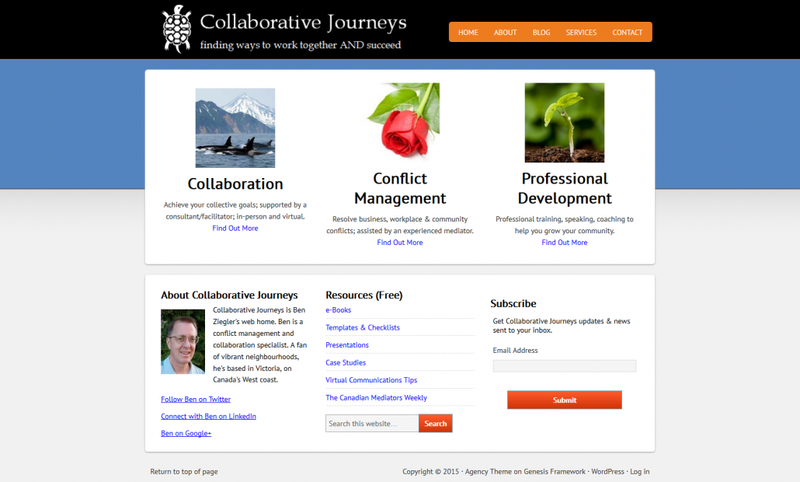 Collaborative Journeys is his Web home. He also lives in Victoria, on Canada's west coast.